Jazz shoes, one of the most common choices for dancers, offer the flexibility and versatility needed to perform the toughest dance moves. Being such a popular option, there are thousands of shoes to choose from. Narrowing down the selection can be difficult if you aren’t sure of what to look for. To pick the absolute best, like these jazz dance shoes at Just for Kix, there are five crucial features to look for. All of that dancing combined with the stage lights can really crank up the heat on your feet, making it essential to look for a shoe that breathes well. Durable leather tends to be the most popular option, with most shoes being made from a blend of leather and fabric. Leather is breathable, form fitting once broken in, and a long lasting material. You want to look for a shoe that features breathable mesh panels, which is often the fabric part of a leather shoe. These provide great ventilation during your routine. Most Capezio’s are built in this fashion, offering an affordable jazz shoe to any dancer. Most soles are made from rubber for sturdiness, durability, and comfort they offer. 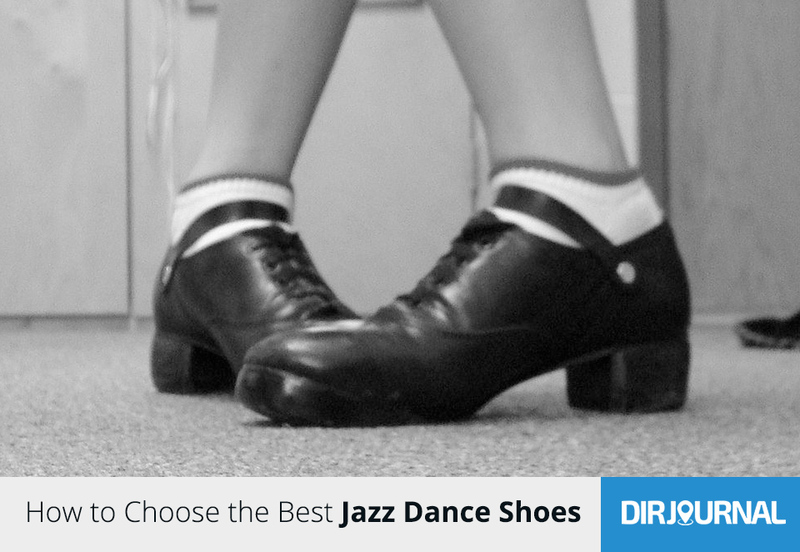 These soles can easily tackle the spins and pirouettes that jazz routines require. Dancers can choose between a flat heel rubber sole or a split sole version. While beginners may find it easier to use a flat or small heel variant, the split sole versions offer much more flexibility for advanced dancers. Eliminating the sole in the middle of the shoe, split soles utilize a rougher bottom on the front and rear panels to give that much needed grip when on stage and doing your battements. This one goes for any shoe, but even more so when it comes to dancing shoes. 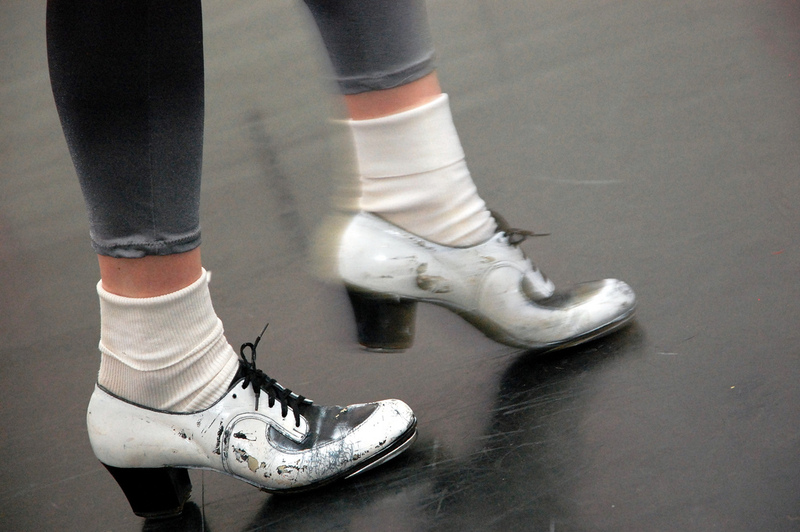 All of that dancing takes a toll on your feet, and any shoe that is too small or too big will only make things worse. While leather will stretch over time, the ideal shoe will feature elastic that stretches to fit your foot. This will ensure that the fit is going to be right each and every time you slip them on. Your feet will thank you. Let’s be honest, no one would buy a shoe with all of the above qualities if it didn’t look good. Your jazz shoe should be stylish and fit your personality. You can choose from the common low rise options, slip ons, or even lace up styles. Many offer choices like buckles or straps that add an extra flair to the already unique jazz dance shoe, and some even break the mold of traditional black and tan with various colors. The choice is yours, so express yourself! There are plenty of companies that make great pairs of shoes, but only a few recognized as top designers in the industry with the top two being Capezio and Bloch. Capezio is easily one with the biggest reputation in the dance world. They offer a vast selection of jazz shoe styles, all of which are incredibly durable and breathable. Bloch is more popular in the hip hop based jazz scene with more edgy, modern styled jazz shoes. Their shoes are equally as durable and come in all of the popular styles dancers enjoy. There are plenty of retailers that sell jazz dance shoes, but not all of them are going to carry what you’re looking for or sell them at an affordable price. Trusted retailers like Just for Kix offer the finest selection of well crafted footwear on the market with plenty of styles to choose from. Just remember the top 5 qualities to look for in a shoe, and you’ll end up with the perfect pair.